I recently had the pleasure of speaking on a panel put together by Founders Institute. The panel was moderated by Rachel Lerman and Jacob Demmitt of the Puget Sound Business Journal. I was honored to share the panel with Kevin Croy of 9MileLabs, Mukund Mohan of Microsoft Ventures, Katherine Chase of Up Global, Kathy Kam of Google, Gina Phillips of WeWork Seattle (who also happened to be hosting us), and of course myself. The conversation was great, yet by the time I left I didn't have an opportunity to answer all the great questions out there. I want to extend an offer to anyone who attended the event or who didn't attend but has a burning question about investing or raising capital to reach out. If you like to read books, I recommend these. If you need help understanding what terms/documents you'll need, start with Techstars and YC. If you want to know who in Seattle can help you, check out Startup Seattle. If you need a deck, I like the way Nextview walks through their deck. Connect and learn from others with the ACA and the ARI. 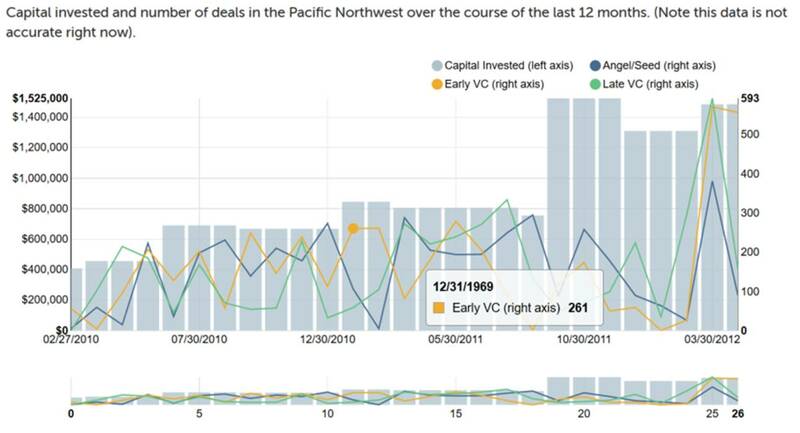 Want to know all the angel groups in town, check out Startup Seattle.